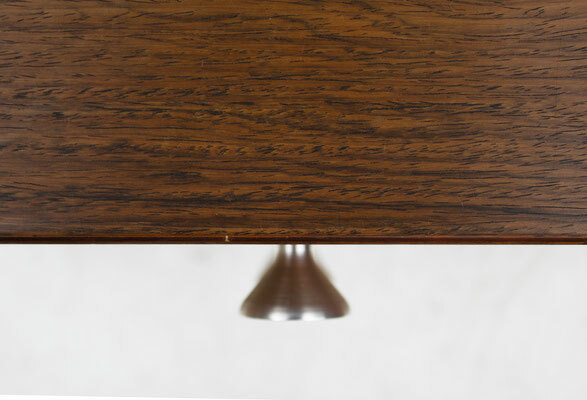 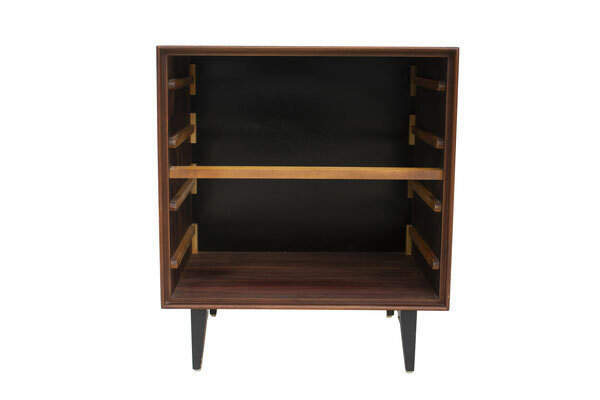 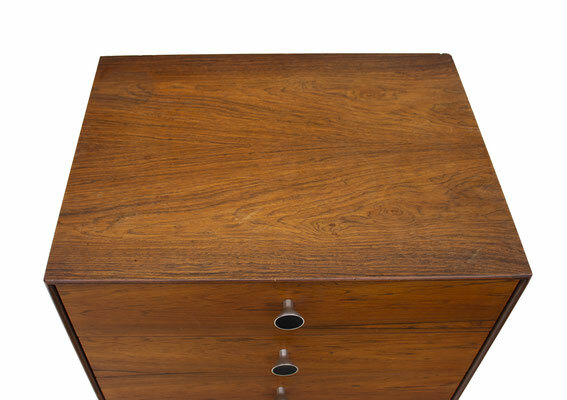 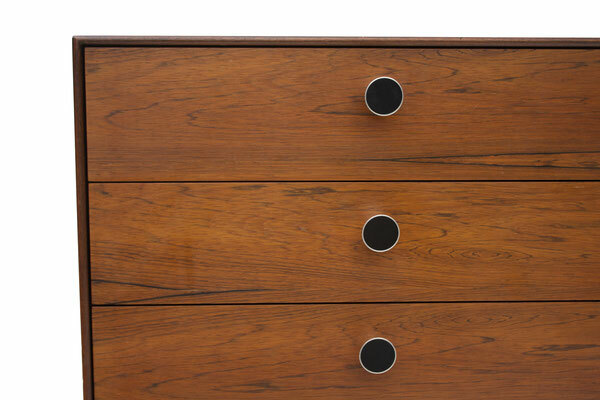 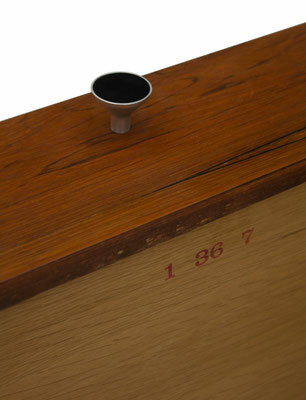 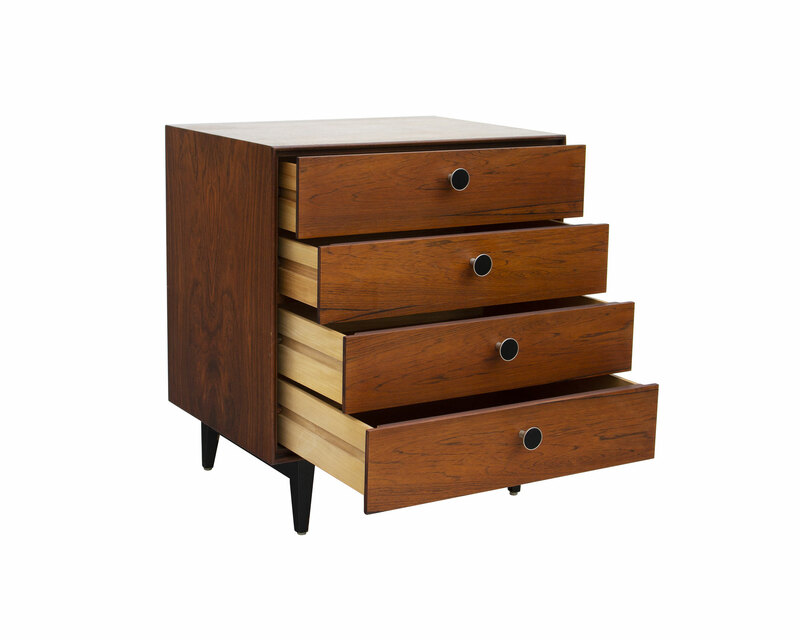 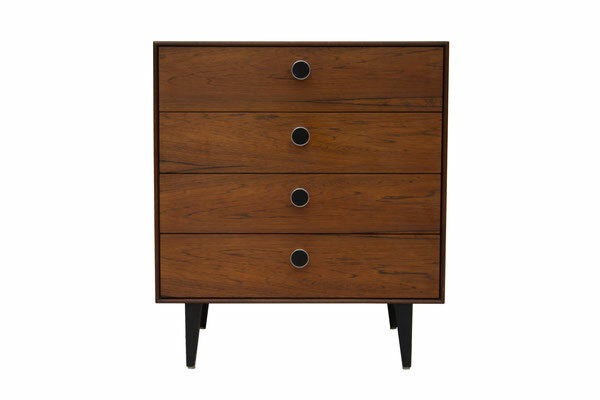 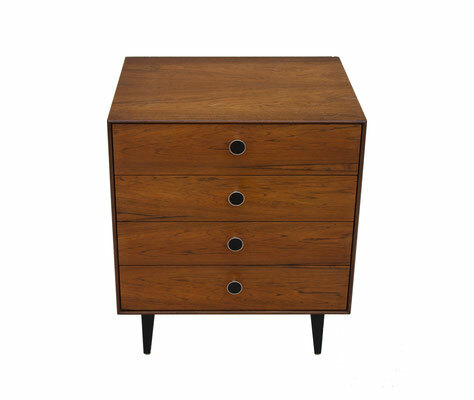 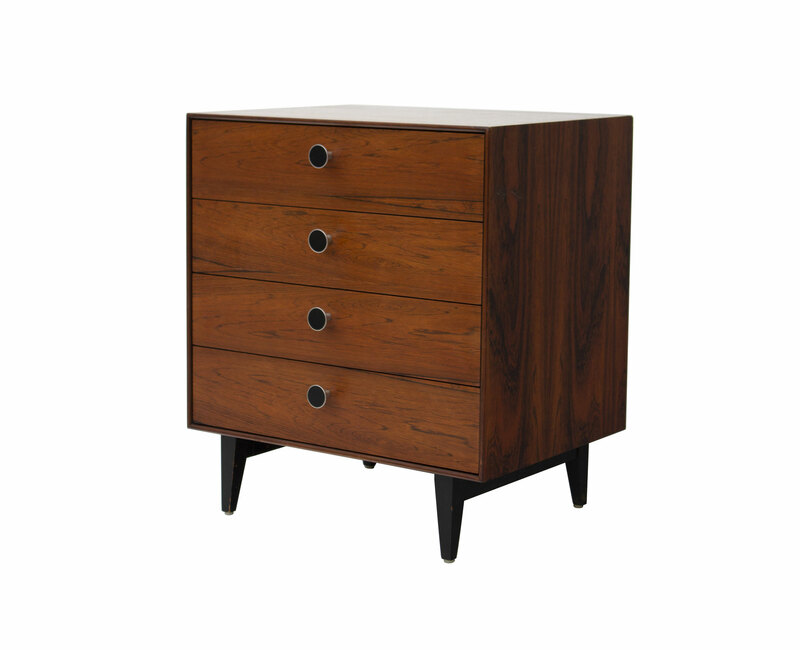 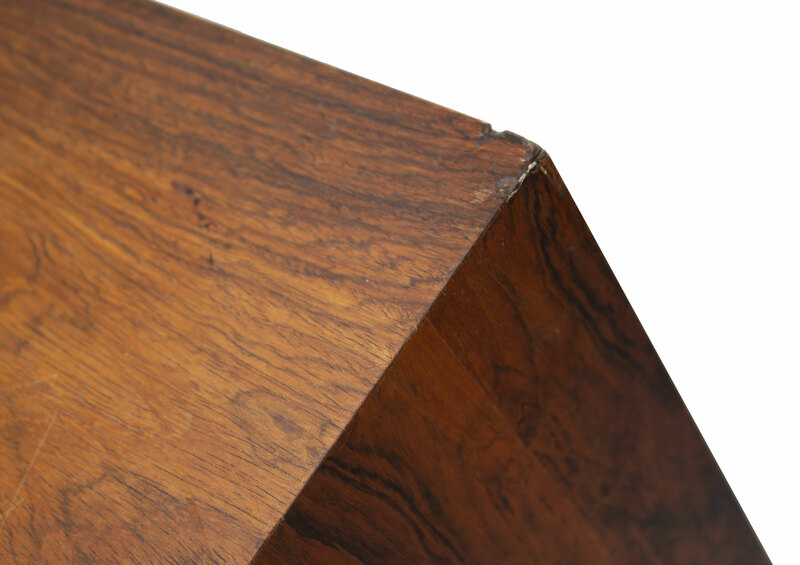 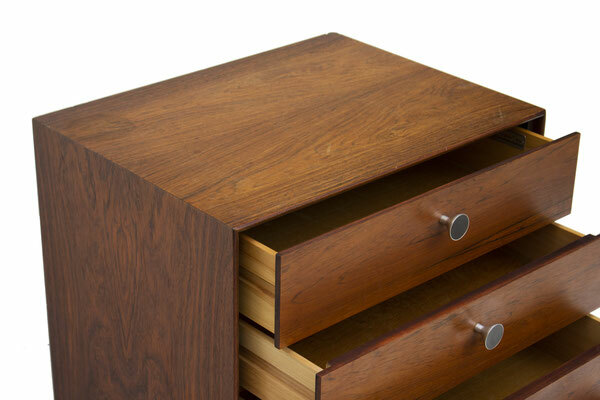 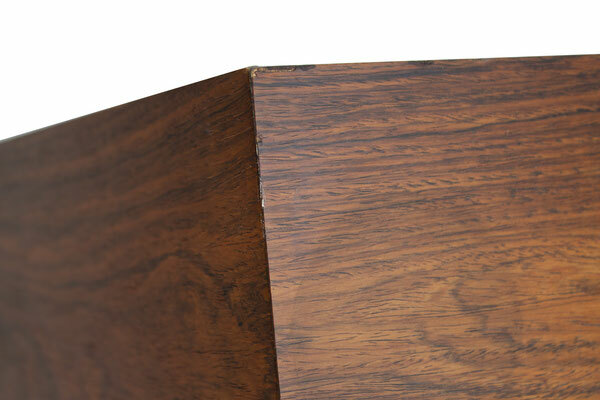 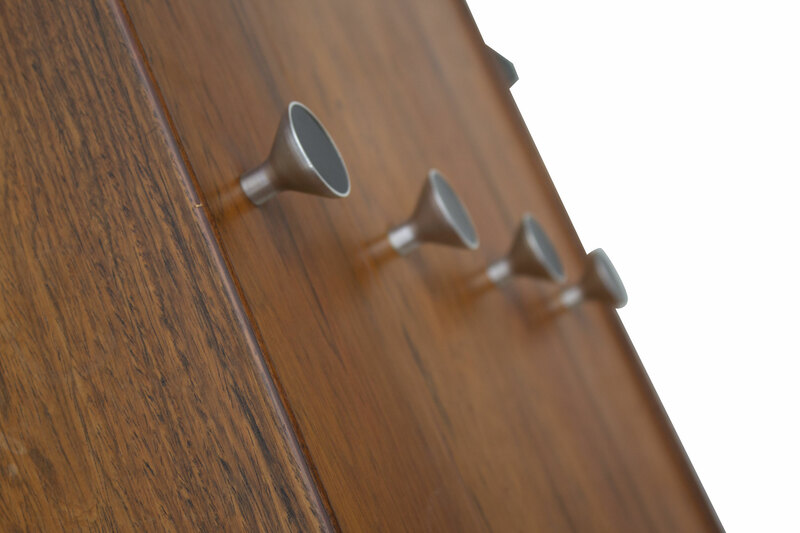 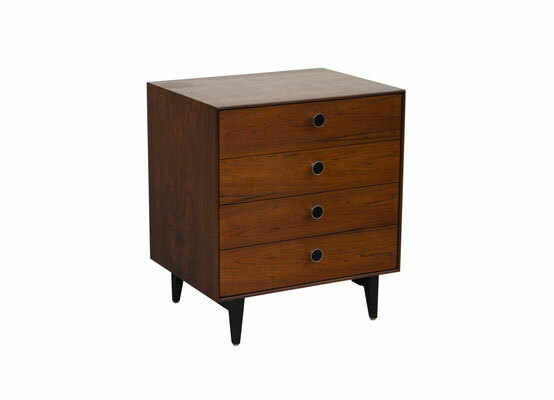 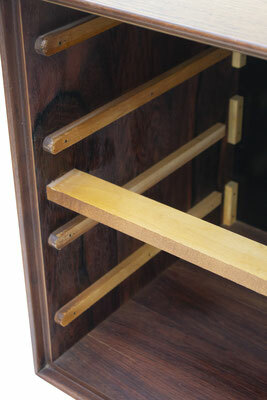 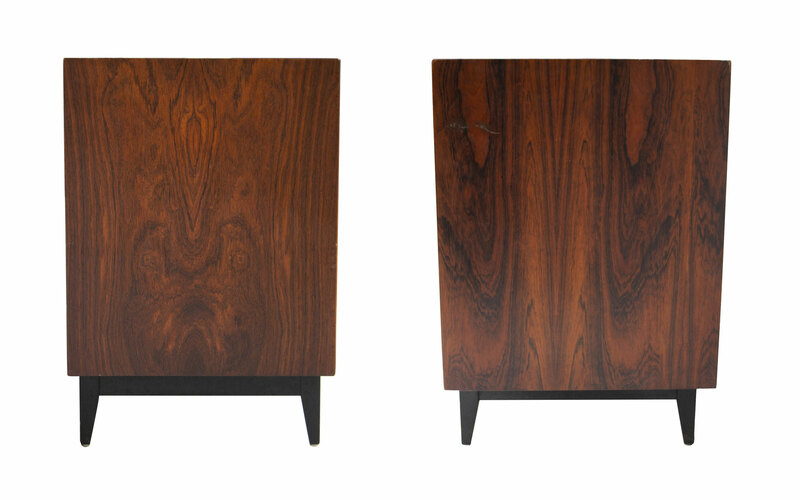 Thin edge rosewood nightstand by George Nelson for Herman Miller. 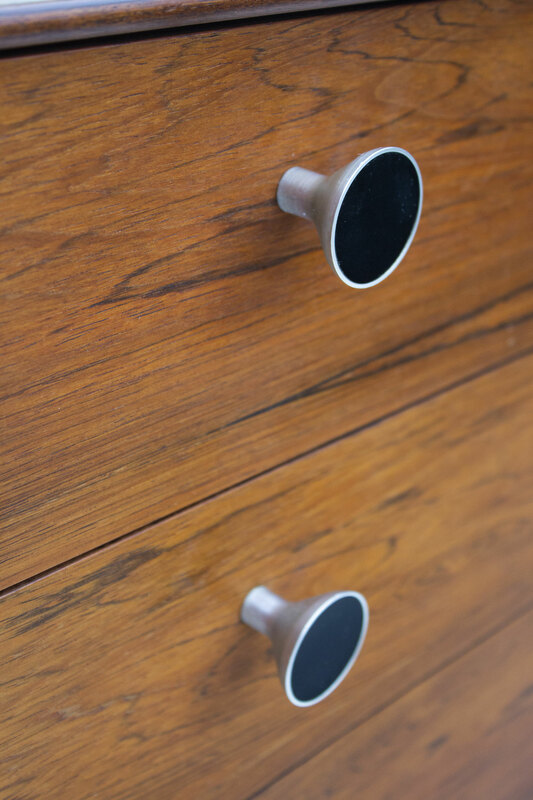 Uncommon round aluminum and black enamel pulls; four drawers. 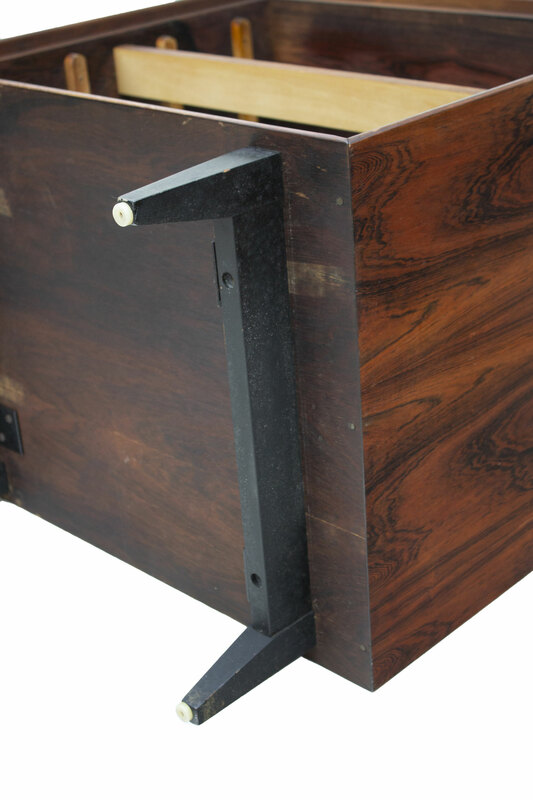 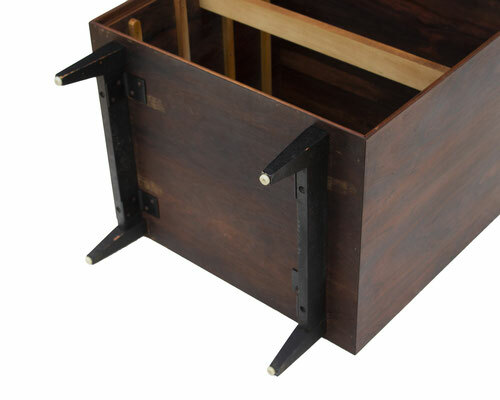 Ebonized wooden legs are reinforced by steel brackets. 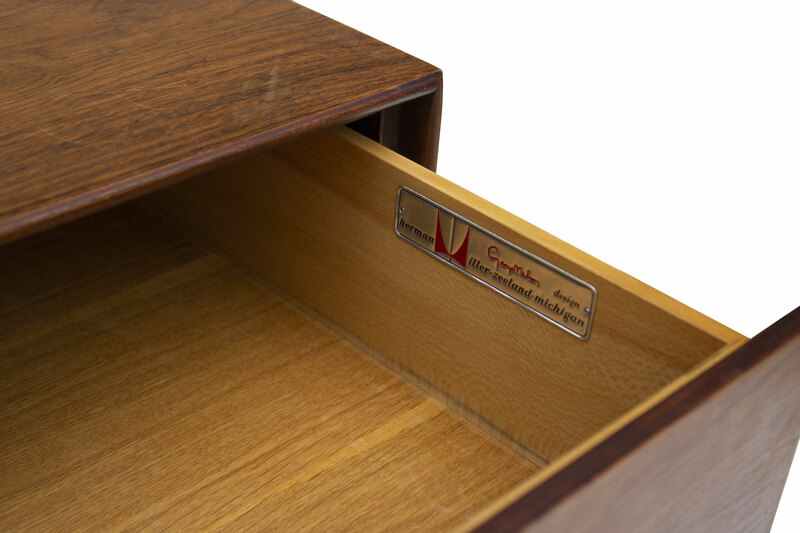 Retains foil label in top right drawer. 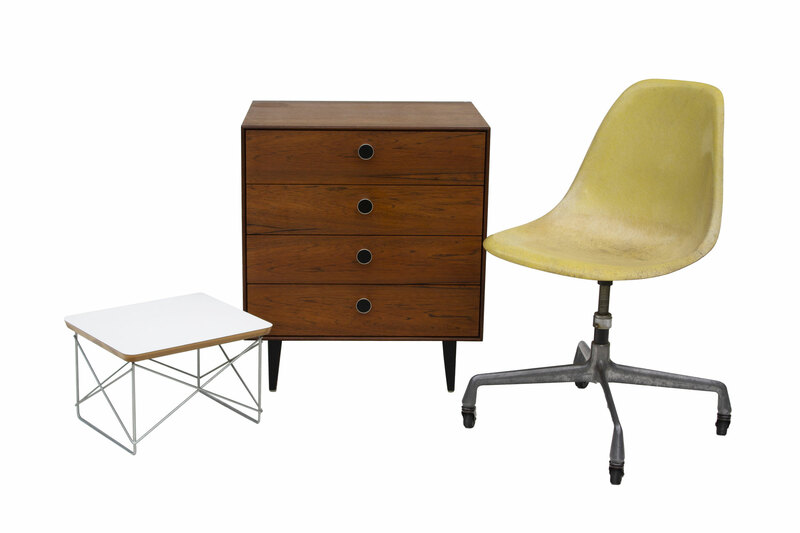 Note: LTR table and chair are pictured to show scale. 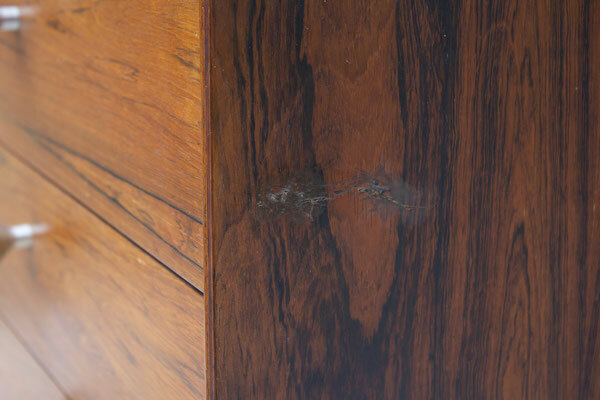 CONDITION NOTES: In good original condition. The right side has a scratched area that appears to have been touched up; the top left back has a very slight, lighter circular mark, probably from a lamp (not a water ring- it's hard to see unless you catch the light right- can be seen in one of the photos); back top right has a ding; light marks to the edges of the ebonized legs. 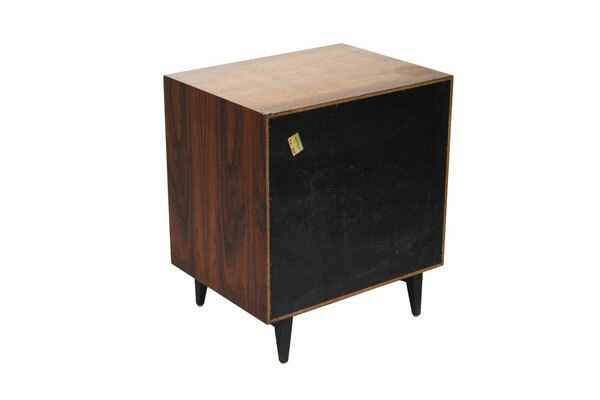 Generally even tone and color and presents nicely. 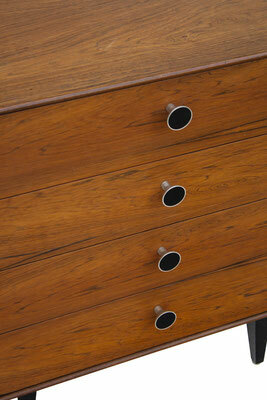 All drawers move smoothly and are very clean.